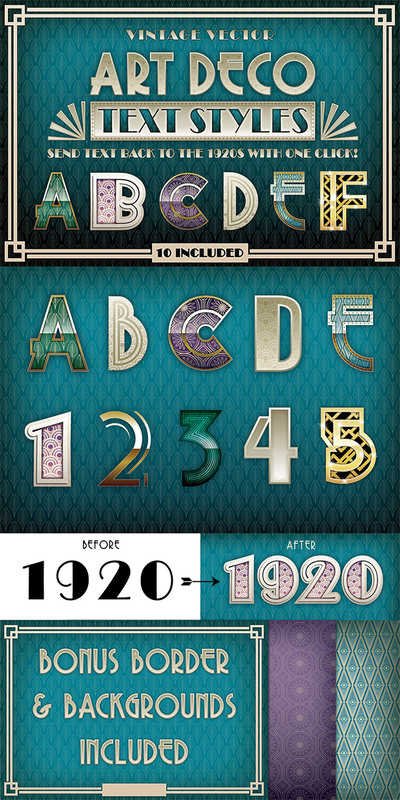 If you love the design style from the 1920s, 30s, 40s & 50s you definitely want to check out this new Vintage Designer’s Kit. 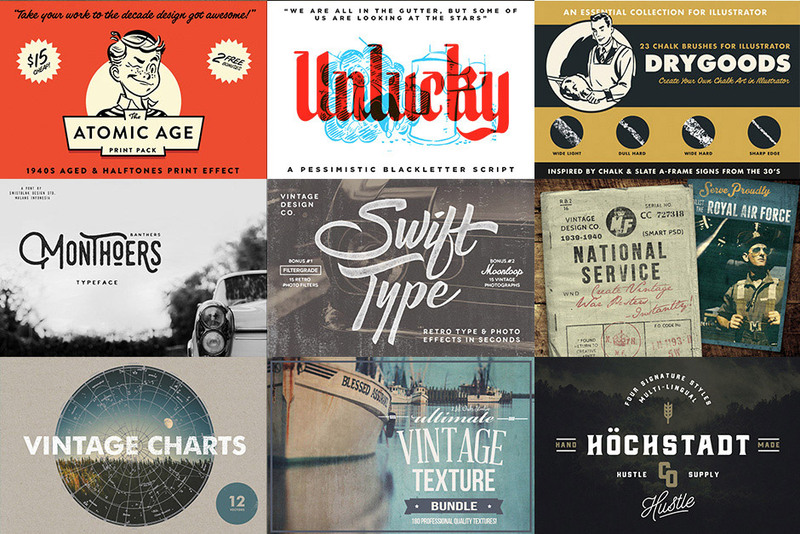 It’s a bundle of design resources that help you achieve the popular vintage aesthetic in your design work with textures, brushes, fonts and effects packs. Convincing vintage style artwork is hard to create without the right materials, but these products have been sourced, scanned and captured from real antiques so you can inject a piece of history right into your work for truly authentic results. All the items in this library are best selling products on their own, but with this special offer you can grab $600 worth of goods for just $29 thanks to the massive 95% discount. Most importantly, full Extended Licensing is included so you’re safe to use these tools in your client work and prints you intend to sell, giving you loads of opportunities for fun projects and passive income streams. These best selling products allow you to easily produce retro style print effects, sophisticated Art Deco patterns, detailed engraved illustrations and more, with authentic results. Some of the materials have taken decades to slowly decay to form the ultimate textures for modern day digital designers. Other resources have been crafted by experts with a passion for vintage design who have meticulously studied the style in order to replicate the finest details. Let’s take a look at the wealth of tools and materials you can own with this vintage designer’s kit. Vintage effects packs instantly apply creative styles to your own artwork. They often incorporate smart PSDs, textures, actions and brushes to make them the ultimate all-in-one kit for producing a certain effect. 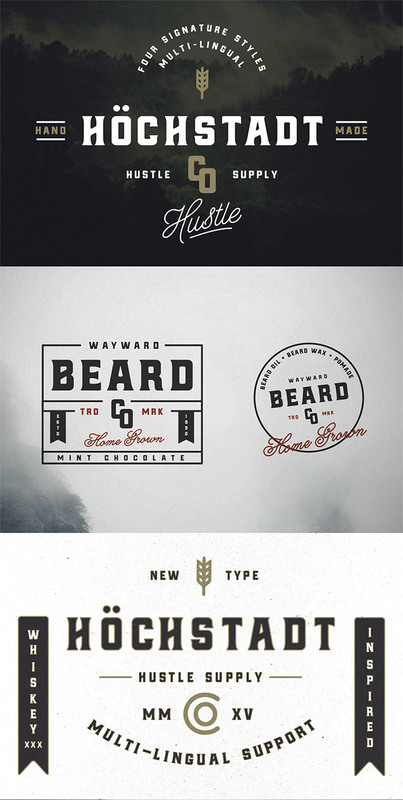 Matching the correct typography style for the era is one of the best ways to achieve a convincing vintage design. These fonts have been crafted from historic type specimens to create modern digital font files in the style of classic hand lettering. Textures are the key ingredient to transform your clean digital artwork into old, aged and weathered documents that look like they’ve been survived centuries. There’s no better texture than a scan of authentic antique papers! Vintage illustrations and engravings can be extremely detailed and difficult to reproduce without years of artisan training. Thankfully ready-made scans and vectors like these make it easy to apply the same graphics to your work. Designers have spent hours experimenting to find the best techniques to replicate vintage effects in Photoshop. With these Actions, their exact procedure can be followed to reproduce the same stunning effects in your own artwork. 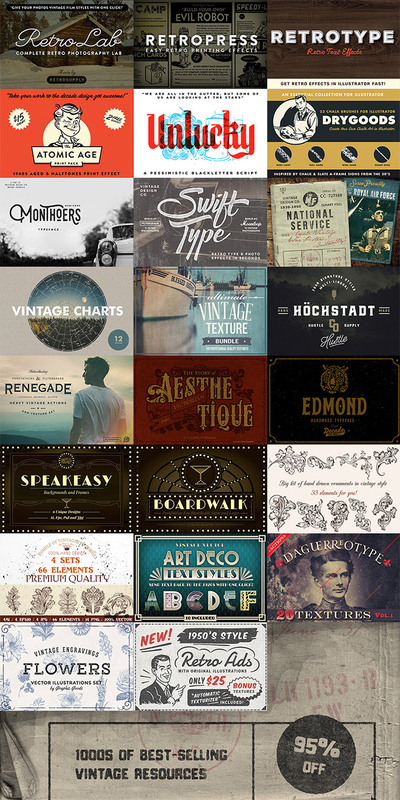 For a limited time only, all these best selling products are available with a 95% discount as part of the Complete Vintage Designer’s kit, reducing the price to just $29. This is exceptional value considering the rarity of some of the source materials, and the expertise that has gone into producing these authentic resources. Usually this price would only acquire one or two products, but the discounted bundle gives you the opportunity to grab them all with full extended licensing. Chris! What an absolutely fantastic website. Having been in the creative design & print industry for over 34 years your posts are really inspirational! I’ve booked marked your site and can’t wait to keep reading your material. nice stuff for fresh design for my projects. thanks chris..